First example. I think, that the most striking example of recovery on Buteyko method is academician Konstantin Pavlovich Buteyko the same. He had malygnant hypertension in 29 years old. He must be dead in 30 years old. But Buteyko saved himself by means of his VEDB method. He lived almost three times by 29 years and was dead in age 81 year old in May of 2003 year. The second example is famous Russian artist Juri Cucklachev. He has very remarkable item on the programme with his performing cats. And he had very terrible allergy from of that cats... His throar was ill very often. Dryness, redness. Every drink gave big pain. Juri bought Lugol oil, dear medicines. But the throat was ill. His nose was ill too. Lovig work with performing cats was by big threat. Suddenly one Buteyko methodist came to his make up room. Taht methodist said, that Juri Cucklachev breathes very deeply. Buteyko methodist taught Juri to Buteyko VEDB method. And Cucklachev began the new healthy life! Jura Cucklachev tells about that remarkable recovery in documentary film "The only winner". "I noticed that my Lugol oil stands without of any using..." - says Cucklachev in documentary film. "My nose began breathe very good at last" - adds Juri. He had very terrible allergy. And he became healthy man by means of VEDB method. The fourth example. That example is especially important for womans which want to have children. It is the great problem in contemporary World - childless woman... How many of grief experienced childless family! The life of such family is as life in grave... My own wife Ludmila Sokolskaya could not have child. In age 32 years old in 1984 year. She was scientific worker in institute of automotion in Novosibirsk academic town. She had hard pyelonephritis, hard asteochondrosis, very bad blood. Onle three that illnesses can kill child by birthing... Only that three hard illnesses. And Ludmila had yet 10 hard illnesses. Physicians cetegorically forbidded to give birth to her. Categorically. Ludmila meeting academician Konstantin Pavlovich Buteyko in the end of 1984 year. His VEDB method gave saving to her. We married wis her in June of 1988 year. 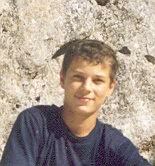 Our son Kostya was born 19 October 1989 year. Physician did not want to take pregnant Ludmila in maternity home. Head physician shouted on Ludmila, stamped his feet. He shouted that it is impossible to give birth to her! Impossible! But very remarkable writing was made in journal of materity home 19 October 1989 year. "Altoukhov Kostya - 4,4 kilograms." It was the most large and healthy child from 12 children, which were born in that day!!! It was the great Victory of Buteyko method.8 June 1990 was remarkable day too. 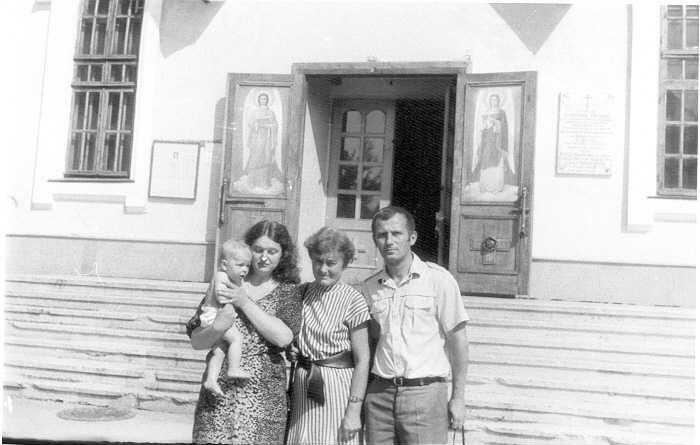 Academician Konstantin Pavlovich Buteyko and his best methodist Klara Fedorovna Lagunova christend Kostya and me (I was not christend in that time yet) in the main Novosibirsk church. Kostya terribly cried in christen room. Konstantin Pavlovich held his on hands and was very nervous. Klara Fedorovna kissed little Kostya in foot. It is very pity, that you can not photograph inside of church. Konstantin Pavlovich ran away quickly from of church on television. And I photographed only Klara Fedorovna and Ludmila with Kostya near church. At now that 15 years old child is making that Buteyko site for you, our dear readers. The fifth example. It is example of recovery from of AIDS (acquired immune deficiency syndrome). You will be very surprised, our respected readers. AIDS is incurable illness at now! Yes. 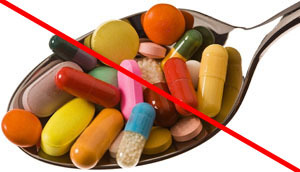 It is incurable illness by means of tablets...Buteyko methodist Vladimir Anatolievich Novoselov made successful approbation Buteyko method on 13 AIDS sick men in April of 1991 year in Kiev (Ukraine). I was on that remarkable approbation himself. And Vladimir Novoselov is my big friend. I can not speak, that all 13 AIDS sick-men suddenly became absolutely healthy people. It is impossibly for one month of Buteyko training. But all 13 AIDS sick men received very big improvement of their health. They received improvement of their blood indices during two months after that approbation was made in institute of Gromashevskei. Official account about that approbation rinted in the third volume of my "Doctor Butenko's Discovery" trilogy. You can ask me - "Why such grandiose victory is not known to all world?" Answer is very simple. Buteyko method is medicineless method. But AIDS sick-men give very big money to physicians for expensive but useless tablets... That is the main answer! The second fragment - the good knowledge of main kinds of Buteyko training in practical studies. Practice shows, that only three men from of ten can strongly observe all three fragments at now. Only three at now. The chief mistake of seven men from of ten, is that they want to have practice immediately! They do not want to study three corner stones of Buteyko theory goodly. They think that only practice will give rescuing to them. It is not truth! Naked practice - it is simply to sit on the chear and to breathe undeeply. That is all... But such practice can not give rescuing to your. You must know three corner stones Buteyko theory as player! sense of that corner stones must entered in your subconsciousness. It is need 40 days only for that. It is medical fact. 40 days your subconcsciousness will be reject all the new. It is need to you read some thick books on Buteyko theme for that. I wrote three thick volumes of my "Doctor Butenko's Discovery"k trillogy specially for that. I want to give time to your subconsciousness to get Buteyko theory. That teory turns over all your habitual ideas. Theoretical part is the main part of Buteyko method. Therefore I consider that tuition by correspondence is possible too (if you have good computer).